It is believed that three viharas existed at this particular spot built during the periods of three former Buddhas named Kakusandha,Koṇāgamana and Kassapa with their relics enshrined. Gautama Buddha, who was the last Buddha in this eon, had personally visited this place and offered eight handfuls of 'sapu' flowers, then wished that the temple which constructing in future should be named as Mangala viharaya. 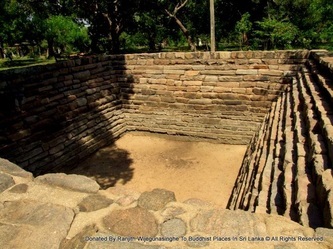 Later the Kingdom of Ruhuna was threatened by South Indian Chola and Pandya invaders during the reign of King Kavantissa (2nd century BC) then the king had to evolve a strategy to prevent the disaster. 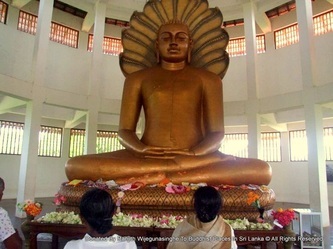 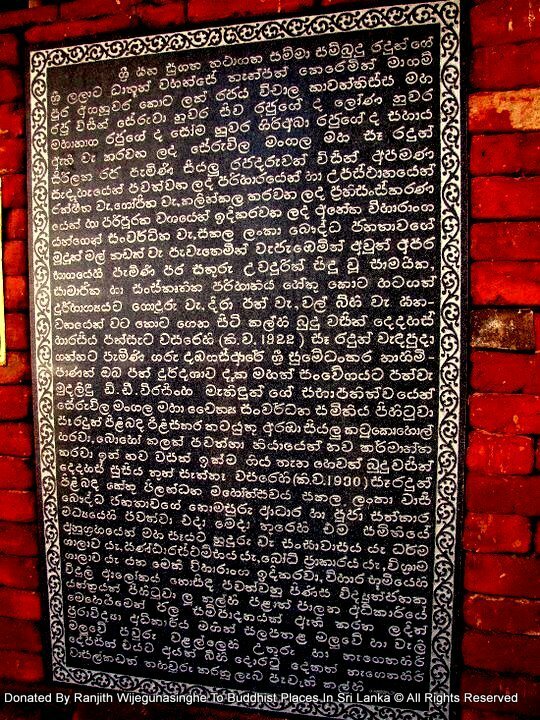 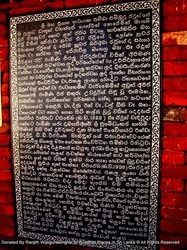 The King Kavantissa could make use of the loyalty and respect of the Sinhala nobles and the populace had for Buddhism to win over Princes Siva and Abhaya, his ally. 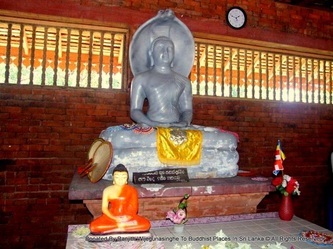 The Buddhist monks informed that sacred relic of Lord Buddha Lalata Dathun Wahanse which was in the possession of King Kavantissa was destined to be enshrined by him personally in a stupa to be built at Seru; Lord Buddha had prophesied this would happen. After this, King Kavantissa marched with his army towards Seru and proclaiming the purpose of his visit asking all the landowners in and around Seru to come to his assistance. 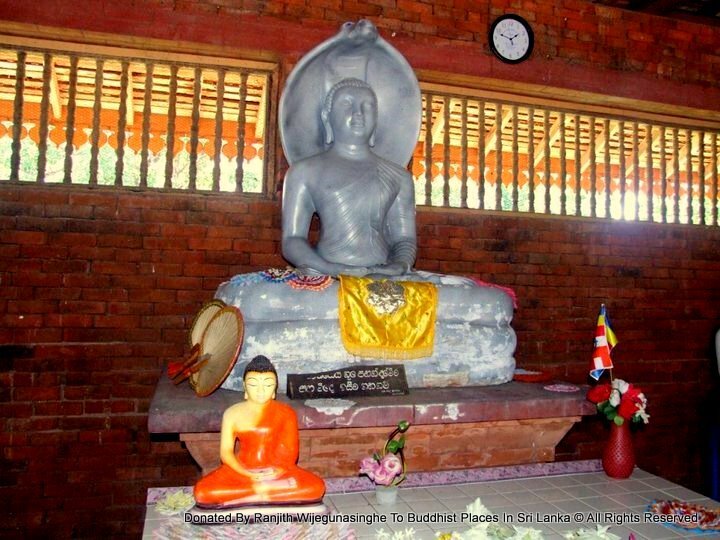 The sacred relics of the Lord Buddha was enshrined in the stupa which was known as Tissamaharama Raja Maha Viharaya. 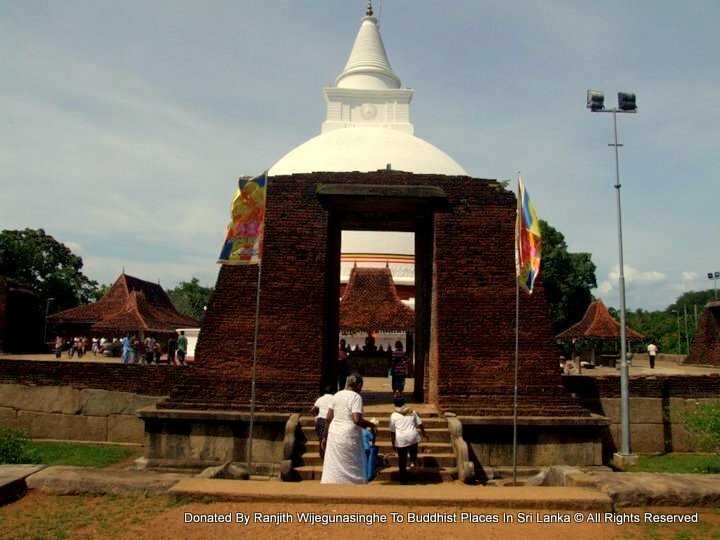 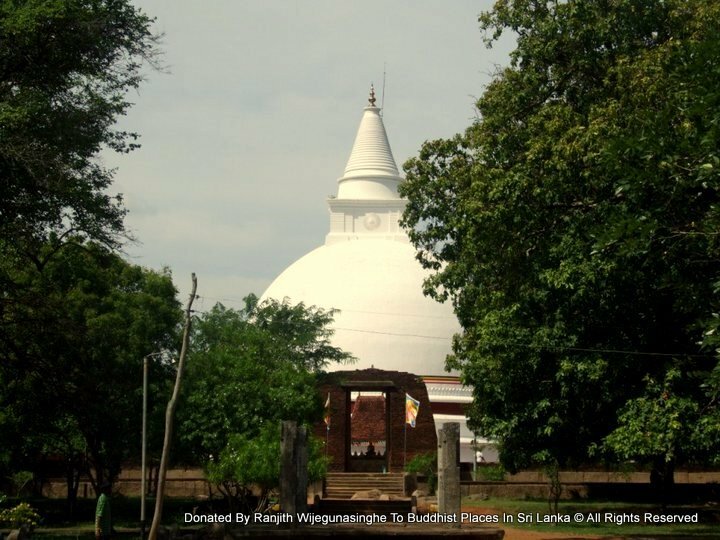 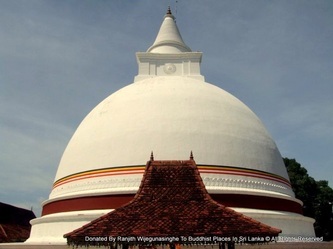 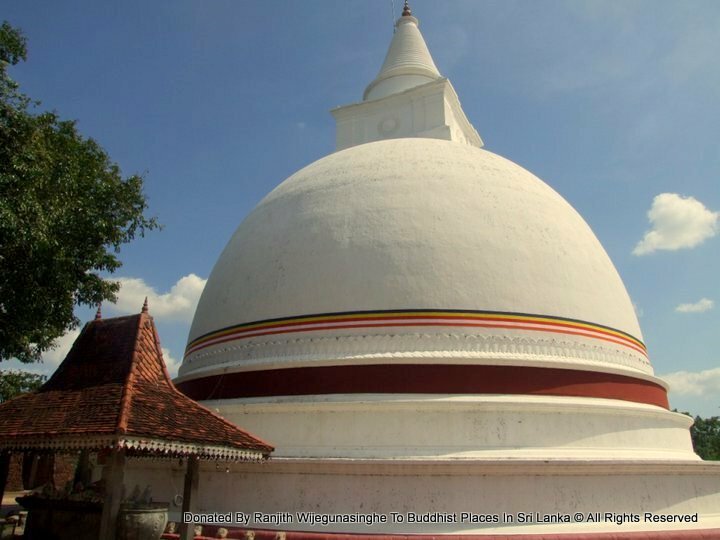 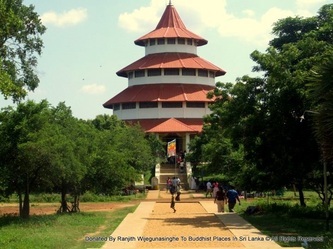 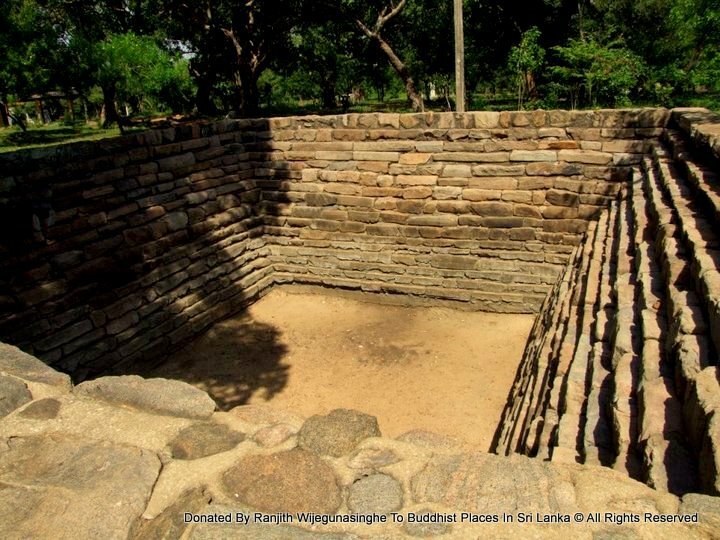 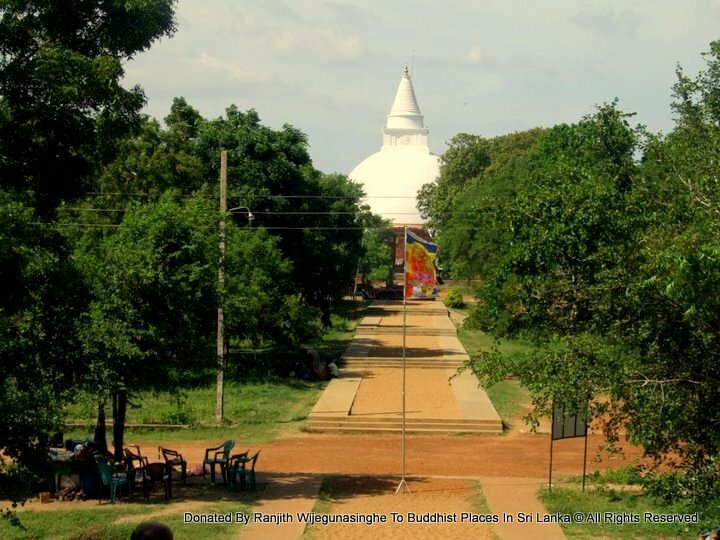 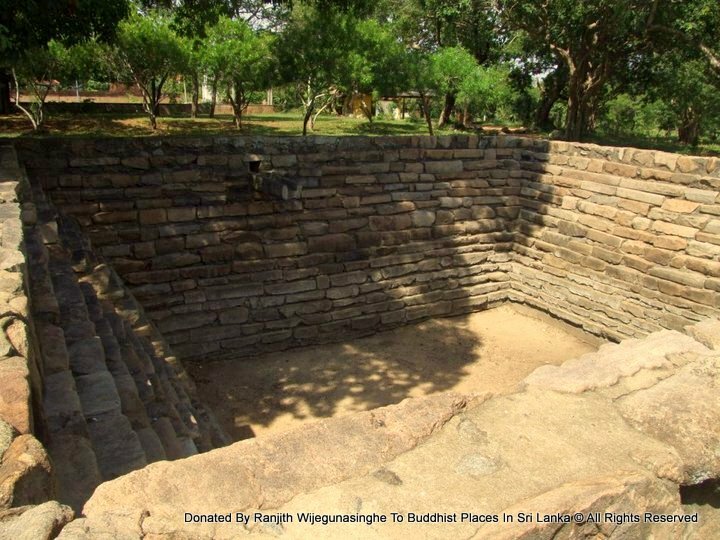 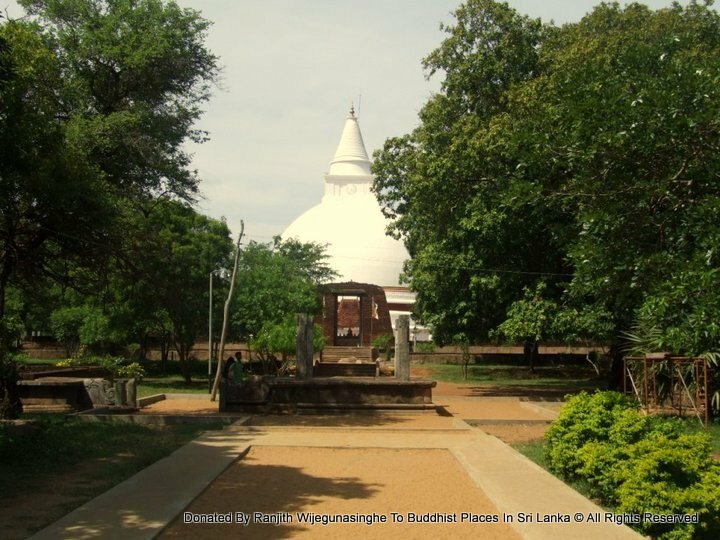 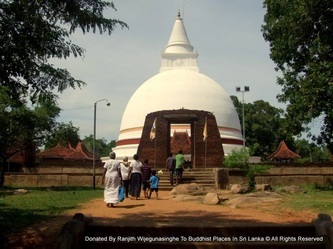 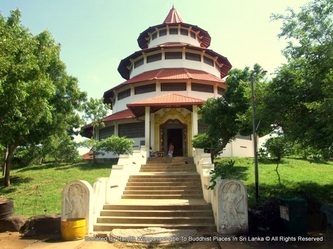 After the construction of the stupa King Kavantissa unified the entire portion of the country to the south of the Mahaweli and Kelani rivers then establish his capital at Mahagama. Meanwhile, the fame of the Seruwawila shrine had spread far and wide and it became a great place of worship and pilgrimage. 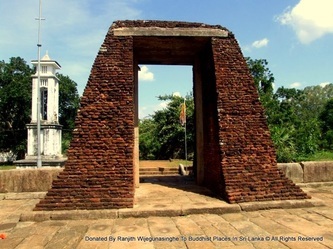 Over the years, the stupa fell into decay under the pressure of the Tamil invasions from the north. 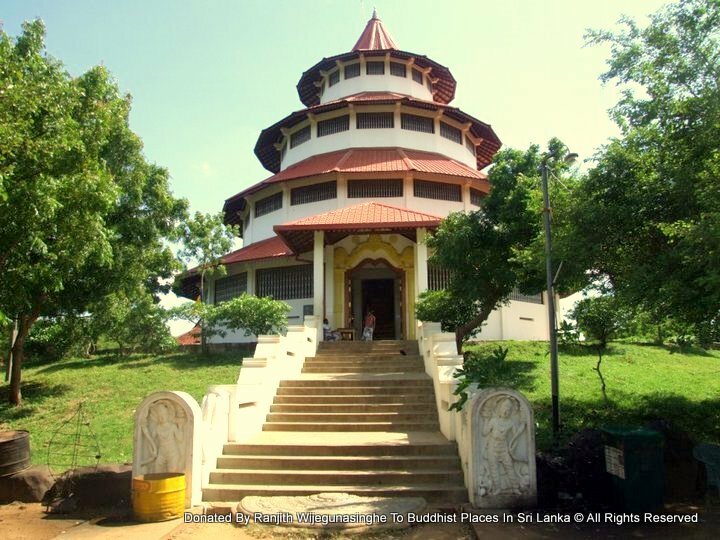 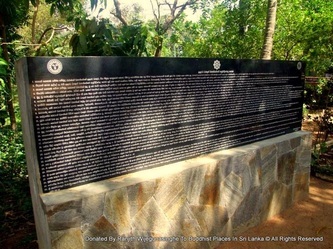 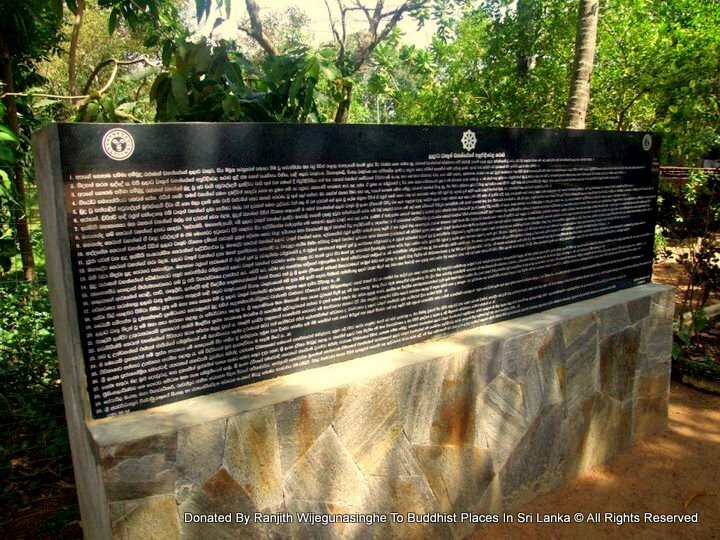 But there are evidences in the literature that this area was under the purview of the Kandyan territory during the 17th century and the existence of this stupa. During the Western Colonial occupation, priority was given to fertile western part of the island then as a result the arid dry zone neglected and left into wilderness.